Step 1. Confirm that you still have data available on your account by checking your data balance using the My Digicel app or dialing *323#. Step 2. 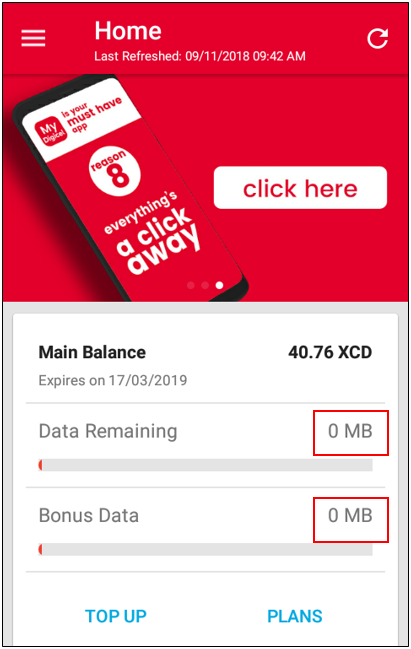 If there are no MB available, please try activating a plan by dialing a short code from your phone, using the My Digicel app or dialing *323#. If you realise that you are still experiencing the issue, you can use the live chat option so we can have the matter investigated further for you.